Check out cool new casino Fantasino and Deposit £25, Play with £50 + 100 Free Spins! This casino is totally unique and heaps of fun to boot! Collect 140 Bonus Spins in total over your first 4 deposits and up to £700 in Bonus Cash as well! With so much competition in the marketplace these days it can be hard to stand out amongst the crowd. Fantasino doesn’t seem to have let that phase them as they’ve nailed it with their quirky characters and appealing design. The cartoon style looks great, and the easy navigation certainly makes for a pleasant gambling experience. Once you start your adventure, you’ll see there’s a whole lot more to this casino than meets the eye. Their Fantasy World means you not only play here; you become a character or ‘Trebol’ as they call it in their exciting narrative. As you progress on your journey, you can earn tokens which can be cashed in for cool accessories to dress up your Trebol. These accessories don’t only look ace; they also serve a dual purpose such as giving you 5% cash back for 24 hours! Sweet! Gamification is fast becoming an important part of the online casino world, and we couldn’t be happier! It keeps us entertained without feeling like we have to spend a fortune to earn rewards. Here you can create your own story and enjoy a fantasy world that is packed with adventure and brilliant bonuses that you’ll love! This isn’t your run of the mill casino, we’ve already seen that from their unique Fantasy World that you can create! They’ve also taken the approach to be truly unique when it comes to their games selection. They have some big and popular slots as you’d hope and expect but they also feature some exciting and emerging software developers to spice things up a bit! Players can enjoy a vast selection of titles from developers including NetEnt, Playson, Evolution Gaming, Quickspin, OMI and Genii. The casino is separated into the key gaming areas, and you can hop from one to another by clicking on the charming cartoon style icons. Choose from popular games, recommended games, slots, live casino, classic slots, jackpots and table games! Enjoy games like Jack and the Beanstalk, Hall of Gods, Mega Fortune, Jack Hammer 2, South Park, Aliens, Alice in Wonderslots, Spellcraft, Big Bad Wolf and Crystal Queen! Sign up for a fantasy adventure and collect a stack of free spins and bonus cash while you’re at it! Kick off your Fantasino Casino journey by following our link below, registering a new account and making a deposit. That’s worth up to £700 and don’t forget those 140 Bonus Spins! To get your hands on your welcome bonus and to start enjoying your own Fantasino fantasy world, follow our link! Grab your Free Spins at Fantasino! Fantasino Casino has the following deposit options available: Visa, MasterCard, Maestro, Neteller, Skrill, Trustly, Zimpler, Euteller, EcoPayz, GiroPay and EnterCash. Fantasino Casino is owned and managed by EveryMatrix Software Limited. The casino is licensed and regulated by the UK Gambling Commission and the Malta Lotteries and Gaming Authority. Fantasino has a very helpful and user-friendly collection of FAQs which allows you to find relevant and helpful casino information. If you still need assistance, you can contact them instantly via their live chat service or drop them an email to [email protected]. 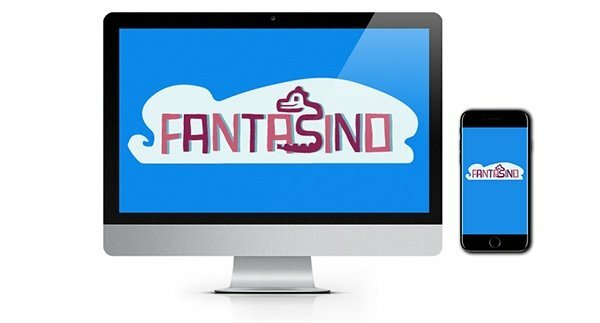 Fully immerse yourself into the fun and sometimes freaky world of Fantasino Casino! This place has broken the mould when it comes to online casinos. Check it out today!